A come back…with some interesting encounters! Two interesting encounters that I wanted to share with you! The first one comes from my home in North-Eastern France, and dates back to the end of August. While watering the garden at the end of the day, my father discovered this large beauty, warming up on the paving stones. At first, this made me think to a Praying Mantis, the large, exotic-looking, deadly predator. But praying mantises are only found in warm, dry, mediterranean scrub, right? Well, the answer is NO! 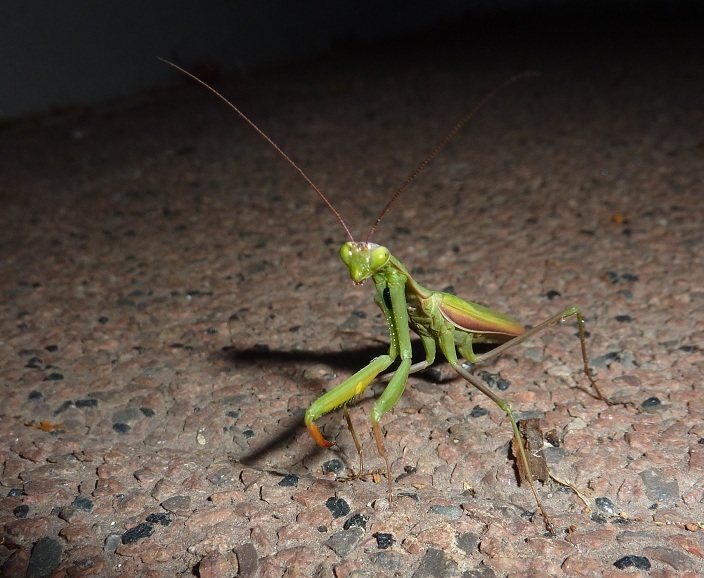 The Praying mantis (Mantis religiosa), which is easy to recognize because of the black spot on its front legs, is more common in Southern Europe, but it is now found in Northern Europe, as high as the Netherlands! Measuring between 5 and 8 cm, it bends its spiny front legs “like a prayer” while waiting for its preys (all sorts of insects : flies, beetles, aphids, moths…). The female is also very famous for its sexual cannibalism behaviour (i.e eating the male after mating). Studies have shown that it happens mostly in captivity/ food stress conditions, in which case the male is a good food source! The second encounter (also a large one) will make arachnophobes scream! 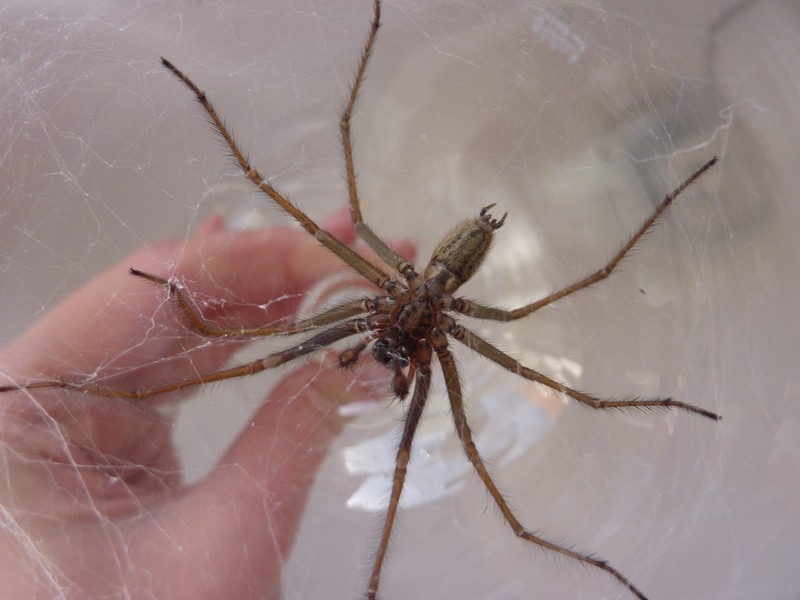 Meet the House Spider, Tegenaria gigantea, which, as its names state, is very large and loves houses. 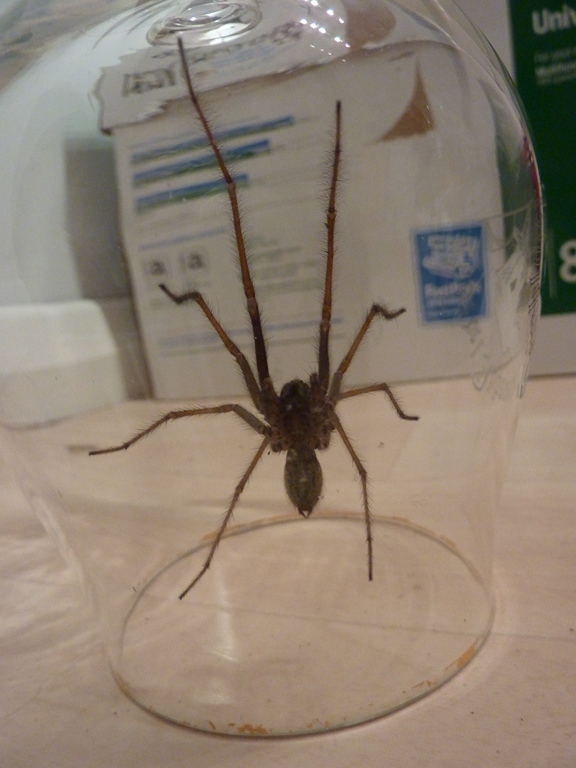 I found two of these in my attic, with a legspan of 8-9 cm. The palps (hairy, inflated appendages near the mouth, used to transfer sperm to the female) are club-shaped here, so it’s probably a male. Before crushing them with a newspaper or a slipper though, remember that like many spiders, Tegenaria gigantea is a precious ally to gardeners. It feeds on insects like flies, ants, mosquitoes…and also slugs! Hello Sophie, I’m amazed about your mantis, that’s an amazing find. Are they moving north as a result of climate change? And your house spider. he’s a whopper! The biggest one I caught was in a pint glass and it was two thirds the length of the glass, he was a monster. Fortunately they’re not all that big though. I had no idea they ate slugs, that makes them welcome in my garden. 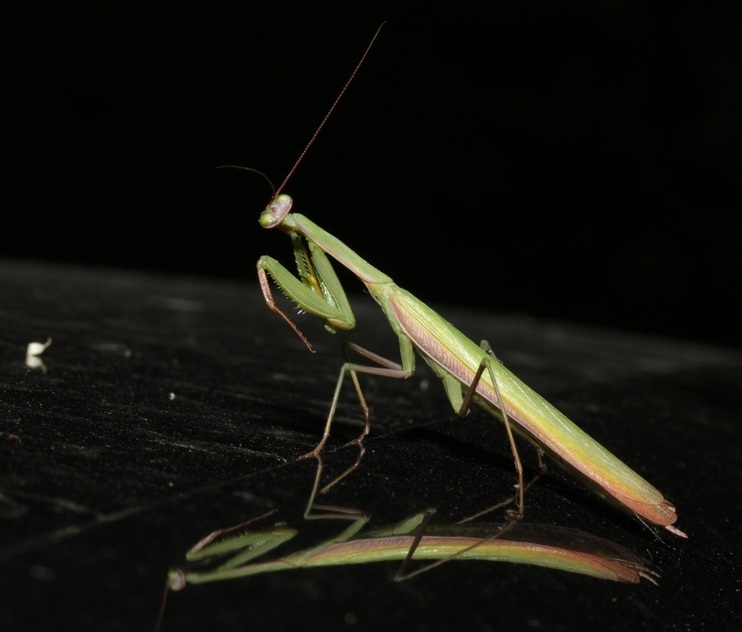 At first people thought praying mantises were escapees from rearing (they are quite popular as pets, or in schools). In Belgium they are still restricted to warm places like chalk grasslands, but in Northern France, there are more and more sightings, even in fairly “unsuitable” places like urban gardens. Concernant les mantes, c’était la première fois que j’en voyais une “en vrai”, et le fait qu’elles puissent tourner leur tête à plus de 180 degrés est assez fascinant! J’ai aussi été surprise par la facilité avec laquelle elle se laissait manipuler, comparé à d’autres insectes. Je n’aime pas particulièrement les araignées (même si de près, j’arrive à les trouver “belles”), mais j’essaie de les déplacer plutôt que de les écraser…que ce soit dehors ou à l’intérieur, elles sont tout de même fort utiles. Je tenais à vous le dire : j’aime beaucoup vos photos!